Gaius Valerius Licinianus Licinius Augustus was a Roman emperor from 308 to 324. Born to a Dacian peasant family, Licinius was a close friend and ally of emperor Galerius. 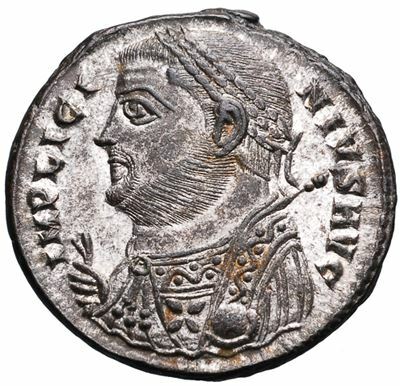 For most of his reign he was the colleague and rival of Constantine I, with whom he co-authored the Edict of Milan that granted official toleration to Christians in the Roman Empire. In 324, he was finally defeated by Constantine after almost a decade of on-and-off civil war. He was spared at first, but then hanged a year later.